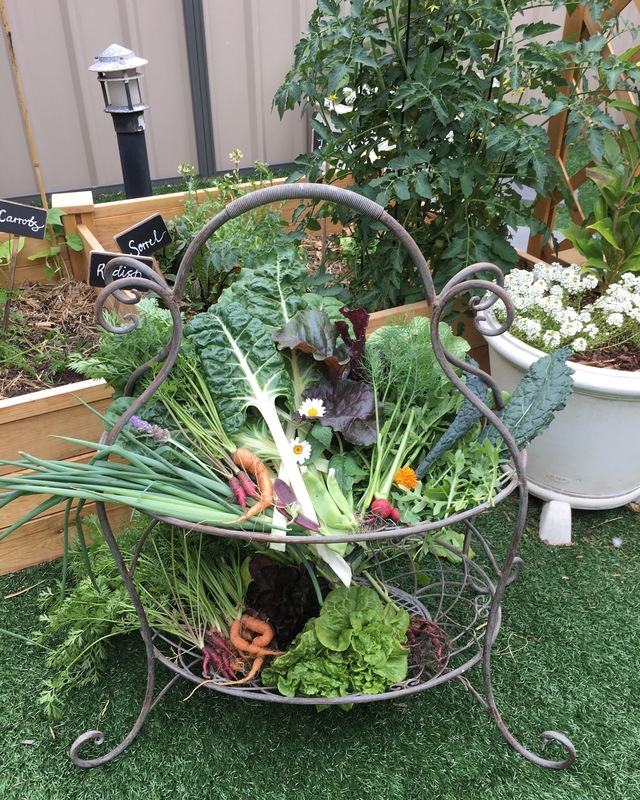 We have been gardening with our usual herbs that we use on a daily basis for over 5 years now. 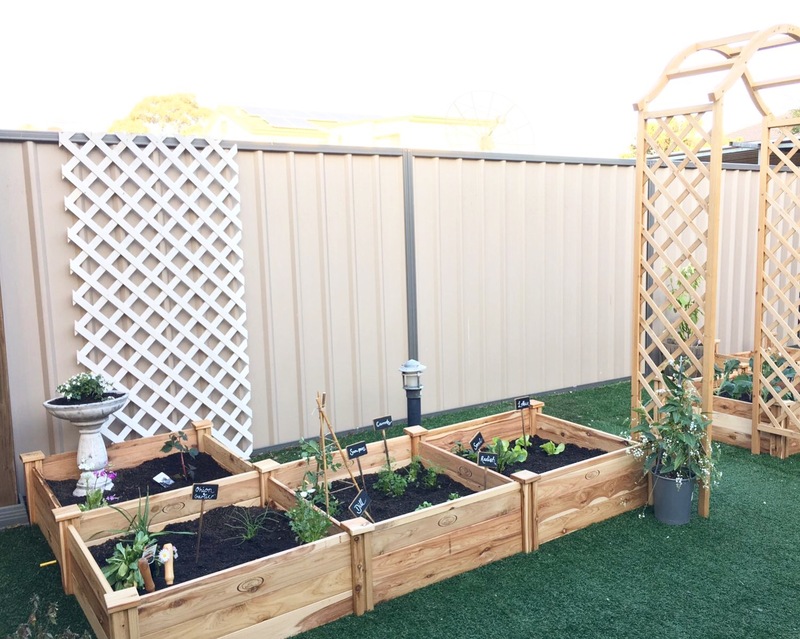 This year hubby and i really wanted to expand our garden and experiment with fruits and vegetables. Our garden was a all concrete yard that wasn’t really appealing to be quite frank.A simple one garden bed on the side o our house that doesn’t really get much sun due to the large trees blocking the sun for shining through. A few years ago we decided to lay some artificial grass, to create a area for our kids to play and enjoy. It has been the best investment we have ever made! C’mon who wouldn’t want an evergreen lawn right?! Finally, June of this year 2017 we decided to take the big step in expanding our garden, so off we went to our local hardware and nursery. The biggest mistake we did make was not make a list on what we wanted and were looking for. The moment we entered the store we instantly become overwhelmed & wanting to basically purchase everything. Building the garden beds were an easy task. once we built them all we were just not satisfied that we will have enough room to plant all the herbs and veggies we had planned too. So off we went again and purchased some more beds and a beautiful garden arch to create a cottage, country entrance to our garden. 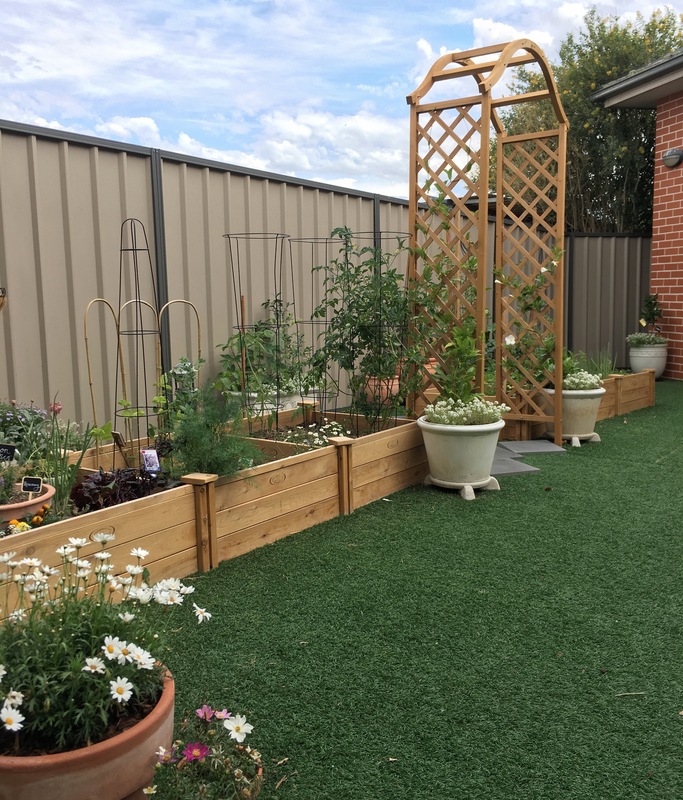 We positioned the beds and archway how we wanted it, then began to dress our garden beds. we first lined the bottom with drainage lining, followed with organic compost mixed with all purpose potting mix. We also mixed through fertilizer and began to plant our seedlings. Every week my husband and i will visit our local nurseries see whats new that current season and bring home new additions to add to our garden. Its been such a wonderful journey thus far. Gardening has got to be the most therapeutic activity I’ve ever come across. The minute step outside into the garden all my stresses and worries disappear. what makes it even more enjoyable is having my lovely husband joining me in creating our own little ‘Urban Homestead’. Its been so rewarding being able to head to the garden harvest what is needed for dinner, it tastes fresher then the store. 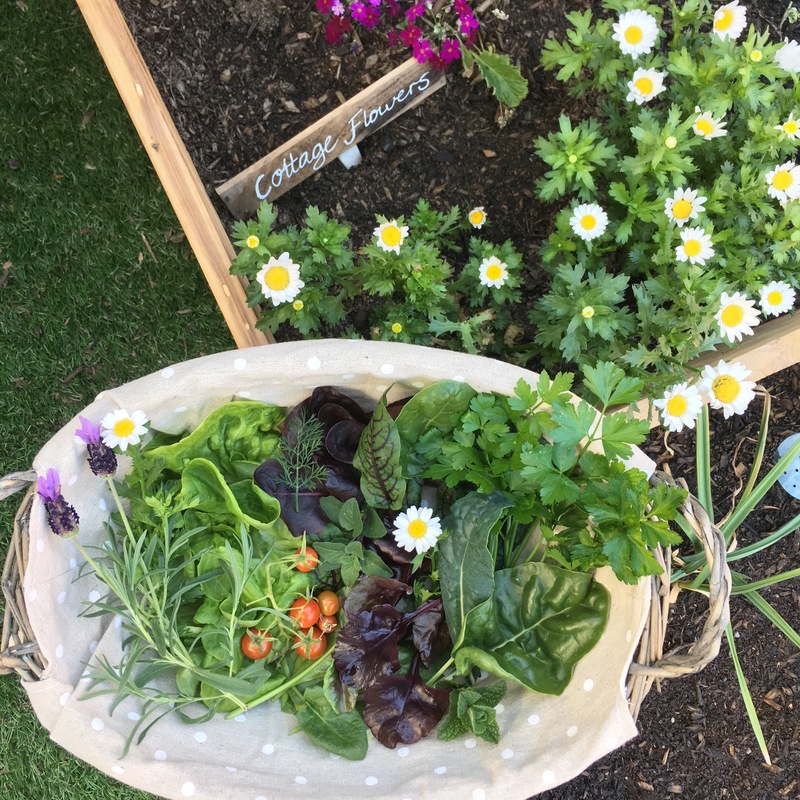 its comforting to know that you have grown your own food so you know that you haven’t used nasty chemicals on your plants. Following a few photos of the early stages of our garden. Our garden has come such a long way. 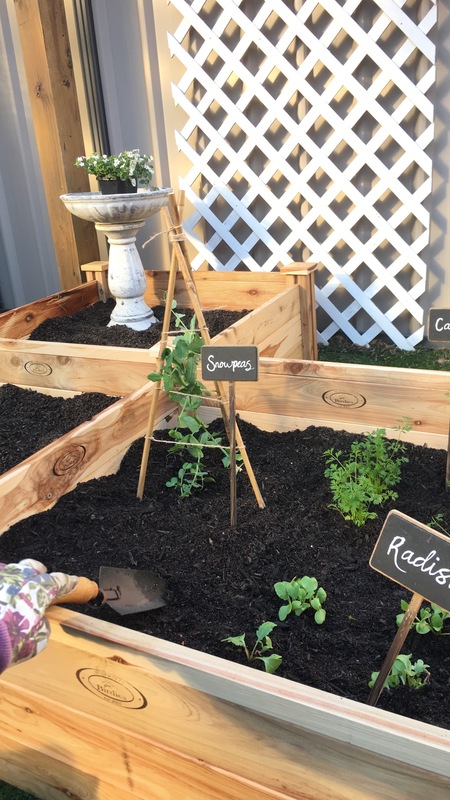 We started with our most daily used herbs and slowly started planting and experimenting with what works well in our garden. We keep track of all our growth successes and failures etc via a ‘Garden Journal’ it has suprisingly saves us so many times, that we highly recommend keeping one. I will delve further into HOW to keep a Garden Journal in one of my next posts. We are so lucky to be able to indulge in many harvests from our garden. We ONLY harvest what we need at the time or when we are pruning our plants… we DON’T over harvest from our garden, we are completely against wastage of food so what a more devastating way to waste fresh home grown produce, we value and appreciate our garden so much we don’t want to do any unnecessary harvests only when we need too or if our plants are in need! Here is a photo of our garden today. Our garden has come such a long way. 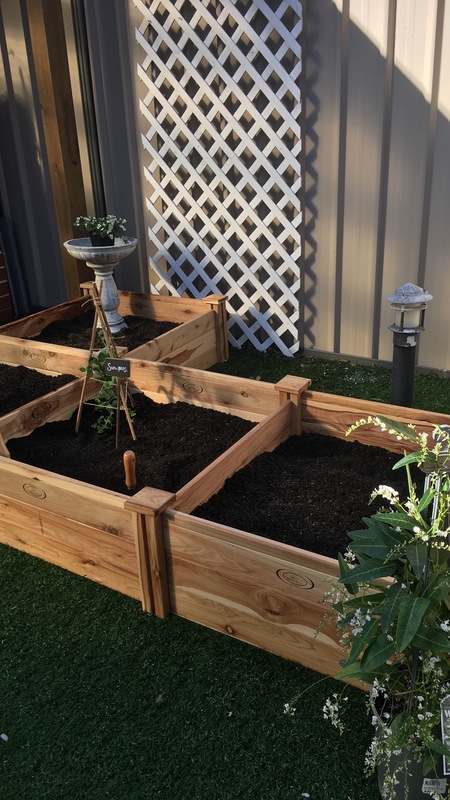 We truly believe that anyone can start a garden but it takes patience and creativity to grow a successful garden. Why not give it a go this season and enjoy all the endless rewards gardening brings to a home. I will leave it at that for today, do tune in as i will be uploading weekly ‘Garden Updates’ that are basically posts which are answering the MANY questions we receive on a daily. Hopefully, these posts help you with starting your own garden. Next Post Cottage Flowers in the garden!